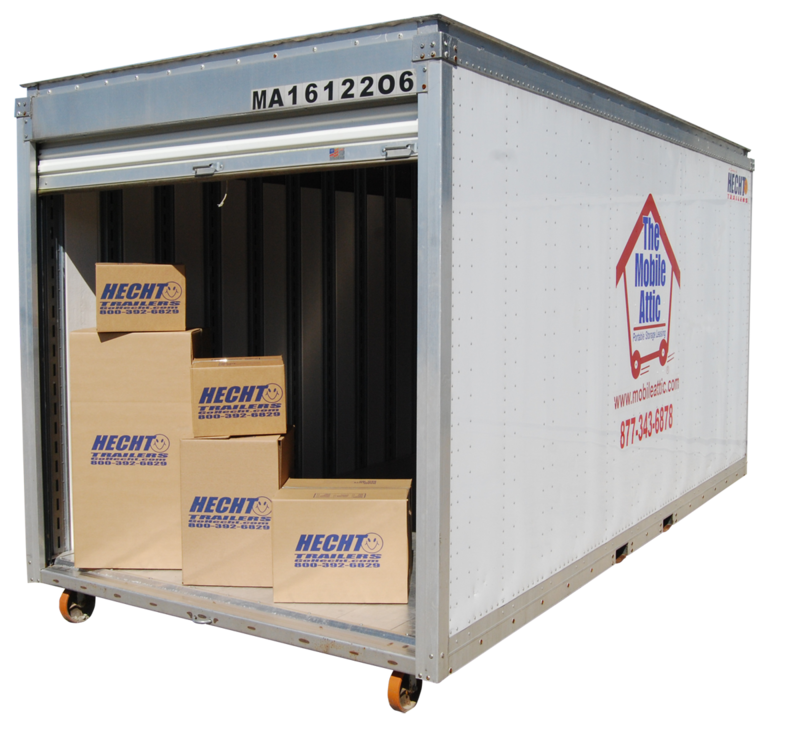 Did you know that Hecht Trailers Provides many diverse options for your moving and storage needs? Let Hecht Trailers do the driving! We will deliver low pro trailers or portable containers to your location and drop it for you to load. When you are ready call us and arrange for one of our expert drivers to pick up the loaded trailer or container and deliver it to your next location. 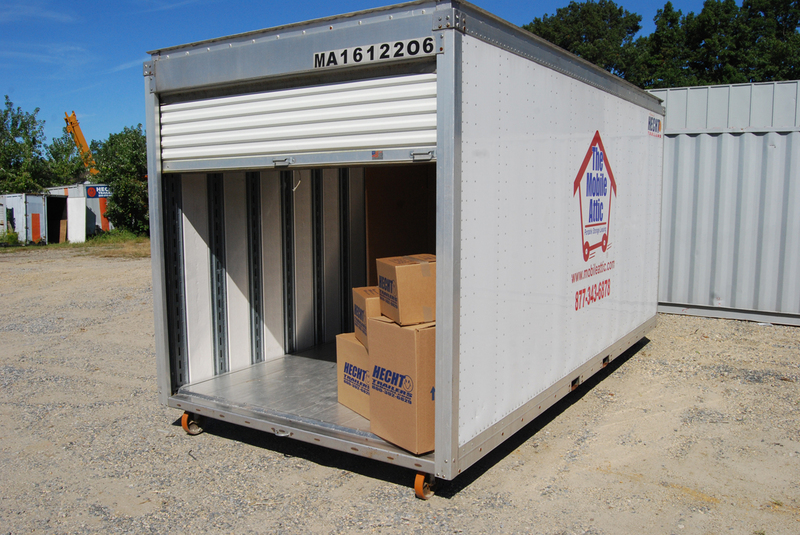 We can also bring it to our storage yard until you are ready to move in to your new home. When you are finished unloading it we will pick up the empty trailer or container. IMAGINE MOVING IN 3 EASY STEPS! Call us and we will deliver a container or trailer to you to pack at your own pace. 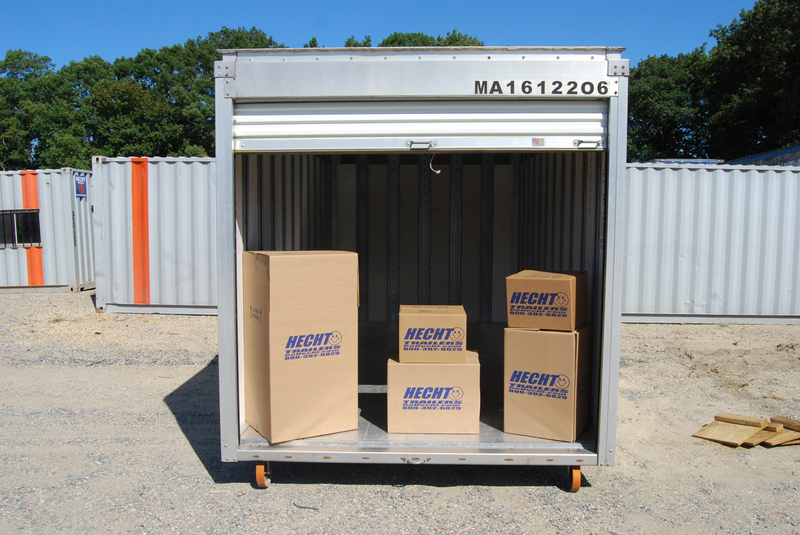 When you are ready let us know and we will move the container or van right to your new home or place of business. When you are finished unloading call us to schedule a pick up. You can move an entire 4-5 bedrooms house for as little as $450.00 or an apartment for $300.00 or less! YOU CAN STORE IT ON YOUR PROPERTY OR OURS. 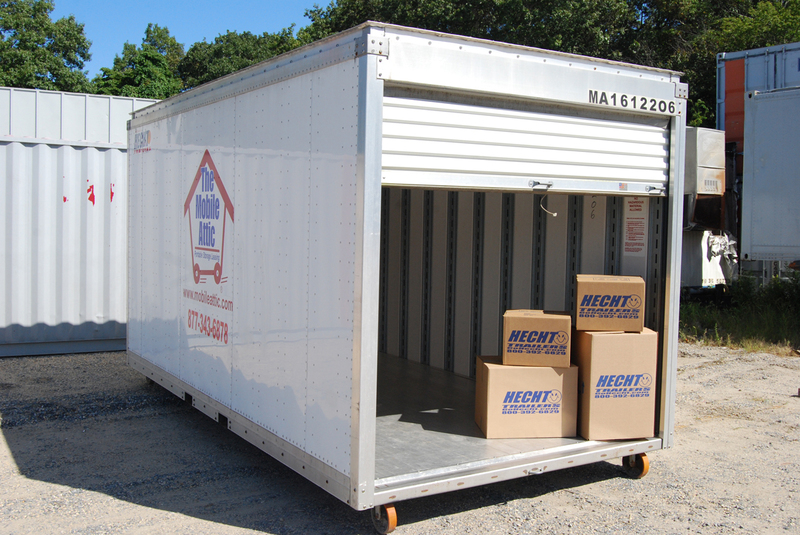 We have many options to help you move: Portable storage units or low profile trailers in many sizes. We also carry a large selection of moving boxes and supplies. Built to move your belongings on the road. 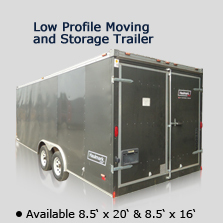 The low profile moving and storage trailers come equipped with two 4′ doors, which swing out for easy access. The low pro makes loading & unloading effortless. Plus, it has a side door for additional access. 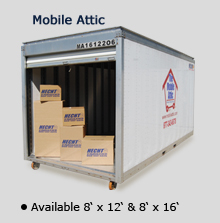 Mobile Attic provides convenient and quality solutions to all your storage concerns. 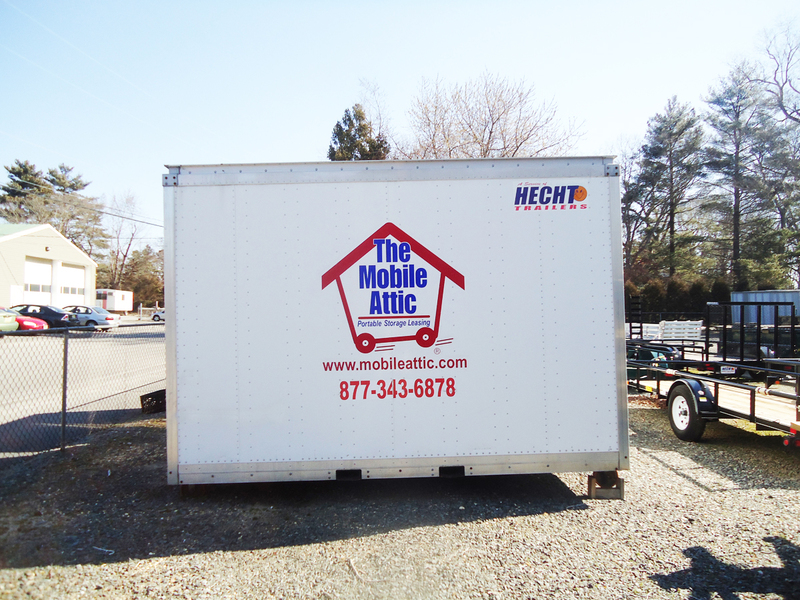 Mobile Attics are constructed unlike any other portable storage container. Our boxes are equipped with a secure strapping system throughout the container. This system allows you to secure everything in place, to better protect your belongings. 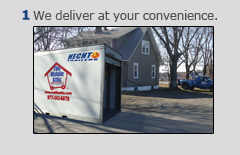 HECHT TRAILERS MAKES LOCAL MOVING & STORAGE EASY!